Are there things you do at a specific time of the year? Maybe on your birthday? Or something you do at a particular place you go? Perhaps on vacation, or when you are together with certain people? Growing up my family celebrated birthdays and holidays by setting up the dining room table with Aunt Delta’s best green floral China, Sister Susie’s purple paisley table cloth and always lighting the candles. After church on Sunday we had a proper dinner, fell asleep reading the paper and then proceeded to do the dishes. Each summer we went on vacation to Nova Scotia. These are some of my family traditions. I invite you to think of your family traditions. Traditions evolve – and although I continued some of my childhood traditions – others changed. My husband and I took our children to Prince Edward Island on vacation many times, and tradition ordered that we dig for clams in the mud fields, play mini-golf and have sailboat races. At Waukeela there have been more than 80 summers wearing down these paths. Here, traditions run deep. From the 1st night in your cabin as a Lep until you become the “oldest” – a Scotch Pine – you are steeped in tradition. From the 1st grilled cheese and tomato soup lunch until the last tearful farewell you are surrounded by tradition – singing (always singing), flag ceremony, the call of the bugle, even the call of the loon, celebrations of Phil’s birthday, the assurance of Patrol at campfire… I’m sure you can think of many more. All these traditions make us feel connected to one another. We become something better and greater than our individual selves. Traditions are memories kept alive through repetition – through stories, songs and acts. The longer the tradition is carried on the more precious and cherished it becomes. 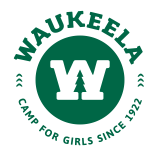 You campers are the next generation who will bear the torch of tradition – Waukeela traditions from the past have been instilled in you, and now your must carry them into the future.